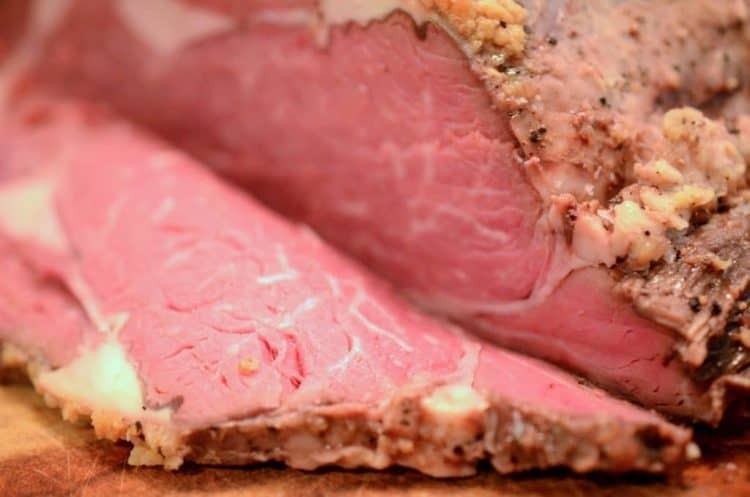 Learn how to roast prime rib for a delicious and luxurious main course, it’s easier than you ever thought! This is a meat lover’s post. If eating meat offends you, then please, skip this one. If however, you or someone close to you enjoys a sublime prime cut of beef now and then, this is a post you will want to take a closer look at. I grew up with some good cooks in my family. My mom and three sisters in particular were the cats meow, in the kitchen. My mom was born into an Amish-Mennonite family and spent her younger years helping to cook for her 10 siblings and certainly a host of other family and church members as well. No doubt, this served her well later in life as she raised 6 kid of her own and assumed the duties of chief domestic engineer on the dairy farm on which I was raised. 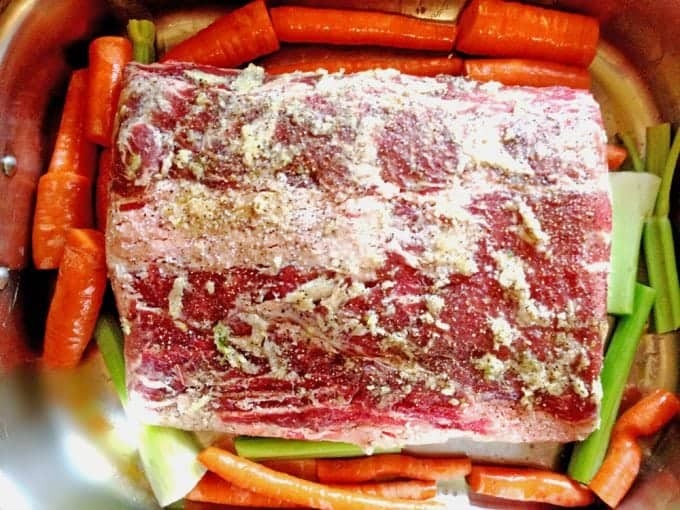 Prepping this Prime Rib is very simple. Every single day, at one junction or other, there were pies to be made, chickens to be dressed, vegetables to be harvested and canned, and of course “hired men” and family to be fed. Although I don’t recall my mom ever making a prime rib – when I think of my dear late sister Ann, many great memories flood my mind, not the least of which was her prime rib. For years, I would not order this in a restaurant using the rationale that it would be impossible to equal that of my sister’s. Over the past few years I have loosened up a bit on that rule, although I’ve never tasted a prime rib as good as Ann’s. Last year I went on a bit of an oven roasted prime rib kick of my own. I probably made three of these in as many months. To my delight, I learned that my boys love this and further more, I think I have gotten pretty good at flavoring it. Last weekend, to celebrate the success of our church’s fundraiser Viva Italia (covered in several of my previous posts), and in honor of some good friends who were visiting from Wyoming, I put a 12 lb. prime rib in the oven and I don’t think there were many hungry people by the end of the evening. If you want to treat yourself to something special and really delicious, consider learning how to roast prime rib. 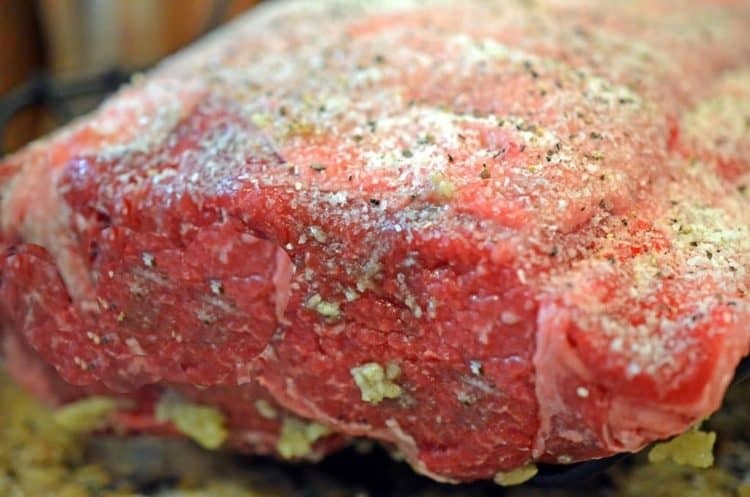 Although you can season an oven roasted prime rib with anything, I use just three ingredients in my seasoning: Fresh garlic, kosher salt, and fresh ground pepper, what could be simpler? Prme Rib makes for Delicious Leftovers! When selecting a prime rib, besides choosing how to season it, you also have the option of “bone in” or “bone out.” I don’t believe there is any difference in the flavor between the two. If you choose bone in, the roast should be placed in the roaster, with bone on the bottom. Whether your roast has a bone or not, it’s always nice to lay a few stalk of celery on the bottom of the roaster to allow the meat to rest on. The celery becomes infused with the ensuing juices and really can enhance the au jus for later. 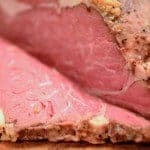 Give this recipe a try, chances are if it is your first time making a prime rib, it will not be your last. This post is dedicated to my sister Ann, who we lost far too early. One of the funniest and smartest people I have ever known, I miss you every day and will always be thankful for the love, the laughter, and the incredible food you fed me and the many lessons on how to roast prime rib. 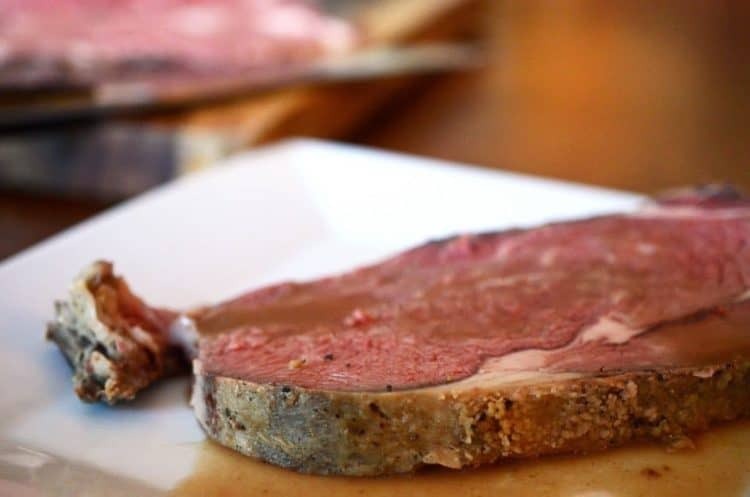 Oven Roasted Prime Rib is easy if you know how to make it! Apply kosher salt to outside of prime rib. Next, evenly distribute fresh ground peppercorn. Rub fresh garlic throughout surface of prime rib. Place meat in roaster or baking dish, bone side down, if bone-in. Place (room temperature) prime rib in oven for 20 minutes, uncovered. After 20 minutes, reduce heat to 300 degrees F.
Roast until internal temperature of meat is 120 to 125 degrees F.
Remove from oven, loosely tent with foil and allow to rest 30 minutes on counter top. This allows for "carry-over" cooking where the rib will continue to cook after removal from oven. While carry-over cooking is occurring, into medium size saute pan, drain all the juice from the roaster except for two tablespoons. Over medium low heat, warm the juice and stir in 1 tablespoon flour. Salt and pepper to taste and stir. The au jus will be thin and should remain so as it is not gravy but rather a supplementary condiment to provide flavor, juice, and warmth. Wondering what size of prime rib to use? Figure on 8 to 12 oz. per serving. This generally allows for plenty plus a little left over. Use very generous amount of kosher salt when initially seasoning meat. Roaster should not be over sized relative to size of prime rib. Optimally, it should just fit, without touching sides of container. The above method and temperature should give you a cut of medium-rare. With prime rib, it is always best to err on the side of rare. If the cuts are too rare for guests, the meat can quickly be finished off in a saute pan, stove top. This is usually possible in a very short period of time, a minute or less over medium high heat. Allowing the prime rib to set, loosely tented with foil, is vital for attaining the correct level rareness. Equally important, it allows the juices of the rib to be reabsorbed into the meat, resulting in a succulent and juicy serving of prime rib. Sorry for your loss, Yes food and memories are always connected. I like this prime rib. now I understand why you don’t like any restaurant version your sister gave ultimate recipe. It is great recipe for holidays. Prime Rib is a holiday staple in my house. It’s one of my favorites and yours looks cooked to perfection! What a wonderful way to commemorate your sister, Ann. I’m sorry for your loss. 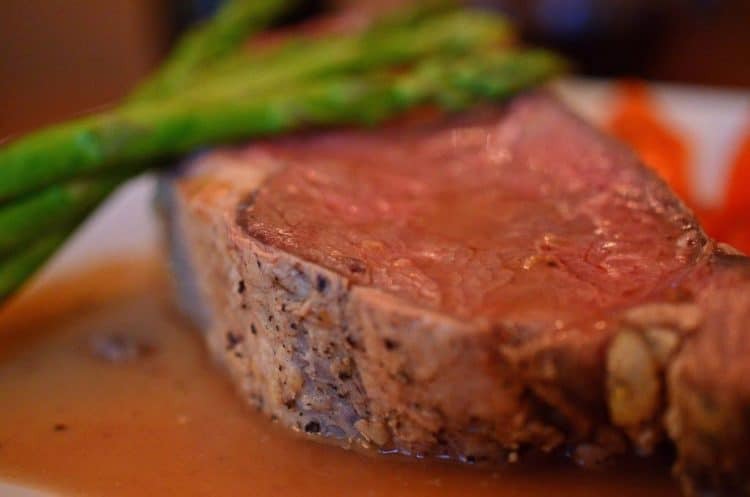 Memories are wonderful to hold dear and you are sharing her and her prime rib with us — thank you. Every year we make prime rib for Christmas. We start early — you see we age it. And you’re right all you need is salt and pepper!! You did a fantastic job. I love that this dish reminds you so much of your sister. Those are the best meals in my opinion! 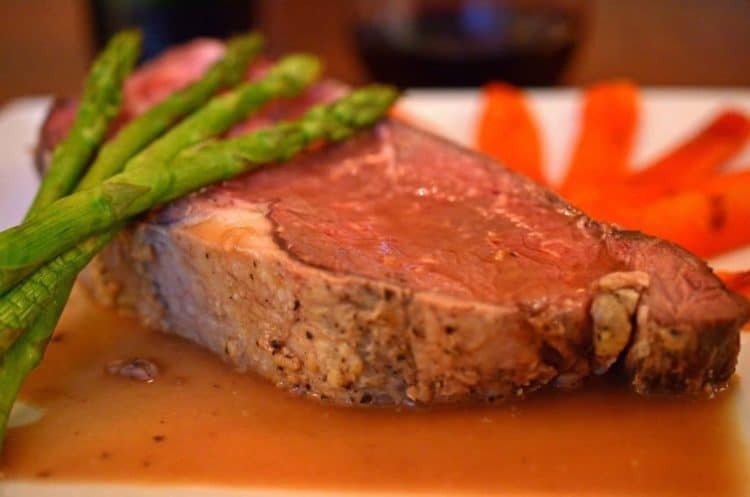 This prime rib recipe looks straightforward and delicious! Everyone needs a great recipe for Prime Rib. Love your well written detailed instructions. Perfect for the Holidays! That roasted prime rib looks so perfectly cooked. 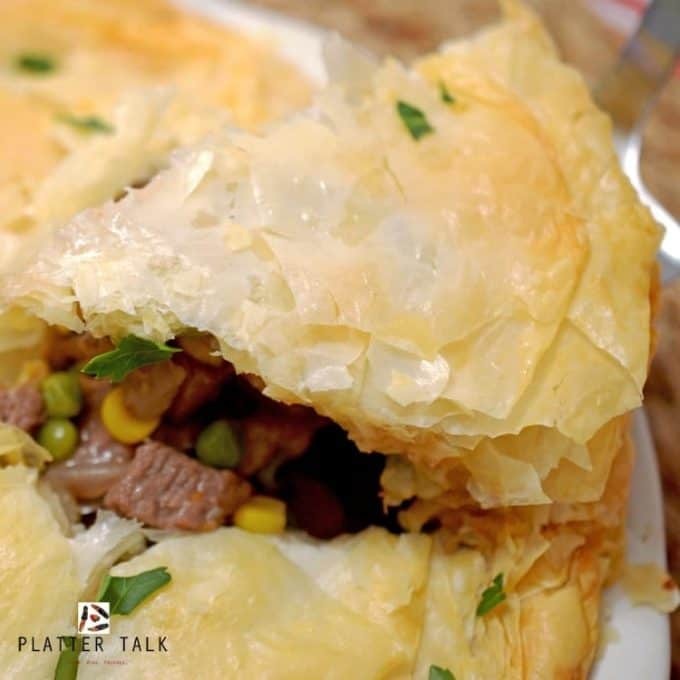 It will be an amazing dish to make during the holidays. My fiance would be in prime rib heaven if I actually attempt to make one – these are great directions and it doesn’t seem too intimidating! Seal the deal, Lauren. Make this prime rib for him soon! You have such beautiful instructions on this post. Prime ribs always made me nervous. I must try this recipe soon. That looks scrumptious. Condolences on your loss… but memories like this and I’m sure many others, will help. Prime Rib is a dish I’m nervous to make at home … quite the opposite of you … I’m never sure it will be as good as what they serve at restaurants. I have always wanted to make prime rib at home. I can’t wait to make this recipe for the upcoming holidays. Great instructions! Cooking this cut of meat can seem scary to lots of people. You make it sound easy. Well this is perfect for my family they are big meat eaters and me not so much so I never know how to cook it thanks for these instructions on Prime Rib!